Currently there is no reliable DNA test for Boxer JKD. This is the preferred screening test as it is an easy and cheap test that is totally non-invasive. This test measures the kidneys ability to concentrate urine, and is influenced by many factors such as how much the dog has been drinking. The most accurate results are obtained from an urine sample collected first thing in the morning, before the dog has had anything to eat or drink. You should take the urine sample to your vet for testing. This test is not recommended as a 'one off' screening test for Boxer JKD. This is a urine test done in the laboratory to detect early signs of protein in the urine (proteinuria). The result is not influenced by the hydration status of the dog. Proteinuria, seen as elevated UP/C values can be a sign of chronic kidney disease, but it can also be seen in inflammation and infection in the urinary tract. Repeatedly elevated UP/C values without infection/inflammation may be an early sign of chronic kidney disease, and needs further investigation. Just keep in mind that while some Boxers with Boxer JKD will have elevated UP/C, many Boxers with Boxer JKD will not. This is the most sensitive test we have at present for evaluating renal function, and it can detect loss of renal function at an early stage. The test requires the dog to be hospitalised for several hours. The test measures the rate at which the kidneys filter a substance from the bloodstream. A decreased GFR is a sign of kidney disease, and it can be used to evaluate both the severity and progression of kidney disease. The test is performed by administering a substance such as creatinine or iohexol into the bloodstream through a catheter followed by repeated collections of blood samples to measure the time it takes until the substance has been cleared from the bloodstream. This test will be a sensitive tool to screen for Boxer JKD. This screening test is not recommended as a screening test for asymptomatic Boxers. Even so. this test is probably the most used test to monitor kidney function, but is not a very sensitive one. Creatinine in the blood is usually measured when acute kidney damage or chronic kidney disease is suspected or monitored. Creatinine levels are also influenced by age, body weight, muscle mass, exercise, feeding, hydration status and intestinal absorption. Increase in creatinine is normally seen when around 75% of the kidney function is lost. This test is not an ideal tool for screening seemingly healthy animals, but it is an important part of the diagnostic workup and follow-up testing in Boxer JKD. This can be a good tool when an experienced practitioner with a good machine does the exam. It can be used to detect abnormal size, form and structure of the kidneys. It is an important tool in the diagnostic workup and can also be used to guide a sampling of a biopsy from the kidneys. However, finding kidneys of normal size and structure does not exclude the possibility of Boxer JKD. Interesting discussion of a young Boxers kidney ultrasound showing how the results can be interpreted. Wedge biopsies have often been used as a diagnostic tool to confirm the diagnosis of a renal dysplasia. BoxerJKD do not recommend the use of biopsy as a potential screening procedure. As outlined in this publication, it is an invasive procedure done under sedation, the procedure must be done by a specialist surgeon, the risk of complications from bleeding, infection and sedation far outweigh any benefit from knowing the results. The procedure is painful and costly. There is also a risk of obtaining false negative results due to a sampling error. Lack of immature cells seen in a biopsy sample does not exclude the possibility of Boxer JKD. Histology requires the study of a minimum of one hundred glomerular structures. Efforts to find the gene responsible for Boxer JKD are in progress in a number of different laboratories around the world. See Research page. IDEXX SDMA™ is a new test to help evaluate kidney function. It increases earlier than creatinine in some animals with chronic kidney disease. Unlike creatinine, SDMA is not impacted by lean body mass. SDMA and Creatinine should be interpreted together, along with a urinalysis to properly assess kidney health. Serum or plasma SDMA has been shown to be a more sensitive biomarker of renal function compared with creatinine. A persistent elevation in SDMA above 14 μg/dL would indicate reduced renal function. The use of IDEXX SDMA™ as part of the minimum data base permits the diagnosis of CKD prior to the onset of clinical signs and significant, often irreversible kidney damage. 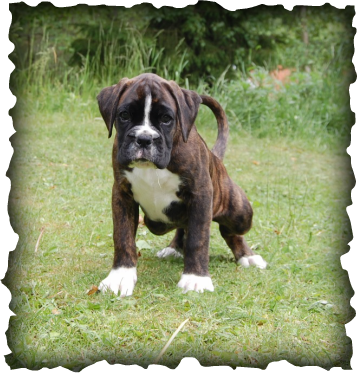 An early diagnosis of Boxer JKD can result in a prompt treatment plan which may slow down the progression of the disease and lead to a better quality of life fro the dog.